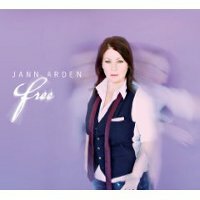 Canada’s Jann Arden is always a reliable source for songs of heartache. She has remained one of our country’s greatest singer-songwriters who has gone on to achieve significant fame in our borders and beyond with her radio-friendly, adult-oriented pop. Her newest record starts on a relatively sombre note with Free, which is a classic Arden ballad. She then moves into more upbeat territory on Daughter Down, A Million Miles Away and Yeah You. She still brings her A game to the world of tear-jerking ballads however, with You Are Everything and album closer Lost, among the highlights. There is nothing on Free that we haven’t heard from Arden in the past but in my opinion, that’s not such a bad thing. If you’ve enjoyed Arden in the past, you will continue to do so with this latest record.